Denver Senior Pictures | Senior Pictures Denver - Unique, amazing and you! 2019 Senior Video Promo from Jay Cole on Vimeo. Welcome to our site! I’m Jay, the owner and primary photographer of Seniors @ 5280. We are Denver’s premiere fashion and sports studio for Seniors in Colorado. 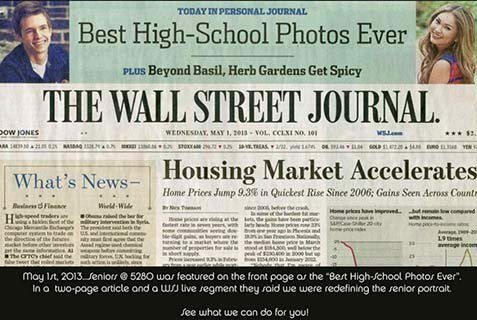 In fact, the Wall Street Journal front page referred to us as “The Best Senior Pictures Ever”. We don’t use boring fixed sets where thousands of seniors in year’s past have posed. Our studio is the front range and each session is tailored uniquely to you. If you want your pictures to look different than everyone else’s or you want sports & fashion portraits that belong in a magazine, not just a simple yearbook headshot, we’re the studio for you. We cover the front range including Denver, Boulder, Westminster, Broomfield, Erie, Arvada, Thornton, Brighton, Longmont, Ft Collons, Loveland, Berthoud, Greeley, Brighton, Lakewood, Littleton, Centennial, Parker, Aurora, Englewood, Castle Rock, Monument and Colorado Springs and all the places in between. We love shooting outside, with the infinite beauty of Colorado or we can shoot inside for that more studio look. 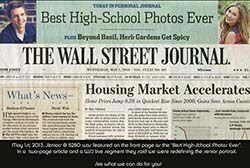 As you can see, the Wall Street Journal dedicated the front page and entire page in the lifestyle section, calling Seniors @ 5280 the best Senior Pictures EVER! Check out all things Seniors. From pricing, sessions and our amazing galleries. Traditional, Sports, Fashion, we’ve got you covered. It’s a great place to figure out what you want for your senior pictures. Recent shoots, helpful hints, great resources on the web. Keep checking back, we’ll update this section constantly to make sure you have the best Senior Pictures ever. 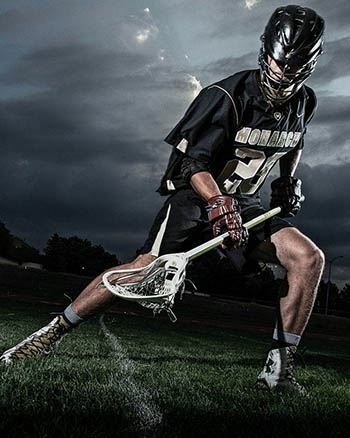 Because we focus on high end commercial imagery, our clients are models, athletes and seniors. Sometimes they’re all three! If you want great senior pictures and want to get signed as well, there’s only one choice. Our favorite studio is the front range of Colorado. There is no location more beautiful than the great outdoors here in Colorado, from Red Rocks to Downtown to Wash Park to the Boulder Flat Irons. It’s hard to see why some photography studios are content to shoot on a farm of fixed locations and props that have been around for years and even decades. Give us a call any time, even if we’re out on a shoot, we’ll try to get back to you within the hour. 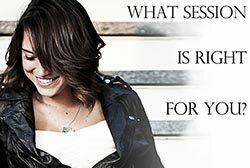 Make sure you check out what type of sessions we offer and also view our Galleries the WSJ calls, "The Best Senior Pictures Ever!"